The speech was consistent with past strategies in the 16-year war that has seen the U.S. make little progress against local Taliban fighters. President Donald Trump has presented his administration’s strategy for Afghanistan that opened up the possibility for an increase in U.S. troops in the region. The speech appeared to offer a continuation of past administrations’ strategies in the 16-year war that has seen the United States make little progress against battle-hardened local Taliban fighters. 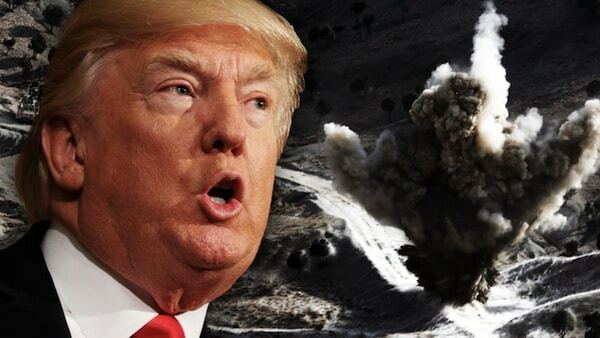 Trump said his “new approach” is intended to prevent Afghanistan from becoming a safe haven for Islamists aiming to attack the United States. The speech, devoid of many specifics, came after a months-long review of U.S. policy in which he claims to have “studied Afghanistan in great detail and from every conceivable angle,” while debating the future of U.S. involvement in Afghanistan, where Taliban insurgents have continued making gains against Kabul. “Our troops will fight to win,” he added, offering no timetable for how long U.S. forces would need to remain in the country. The former reality television star described his change of heart over what he described as his own skepticism and the war-weariness of people in the United States. “My original instinct was to pull out,” he said in his speech, but added he was convinced by his national security advisers to strengthen the U.S. ability to prevent the Taliban from ousting the U.S.-backed government in Kabul. Fox News reported earlier that Trump has signed off on sending 4,000 more troops to Afghanistan, citing a senior U.S. official. Trump’s speech comes as the president struggles to regain momentum after being engulfed in controversy for saying anti-racists were to blame in the white supremacist riot in Charlottesville, Virginia, earlier this month. Trump also threatened to reduce security assistance for Pakistan unless it helps prevent militants from the so-called “Haqqani network” of Taliban-allied guerillas from basing itself on Pakistani soil. He also noted that the Pentagon wants India to help more with Afghanistan, especially in the areas of economic assistance and development. “Previous experiences have shown that sending more troops to Afghanistan will not result in anything other than further destruction of American military and economical might, therefore, it would be wise if you adopt the strategy of a complete withdrawal from Afghanistan instead of a troops increase,” the letter said. “And understand with an open heart that if you failed to win the Afghan war with professional U.S. and NATO troops, advanced technology, experienced military Generals, consecutive strategies and mighty economy, you shall never be able to win it with mercenaries, notorious contractor firms, and immoral stooges,” the letter added.